Build your own virtual studio in your computer and then get busy making music with Propellerhead’s Reason. Use the innovative sampler, loop player, drum computer and unique synthesisers. I will teach you how to create a track in reason. 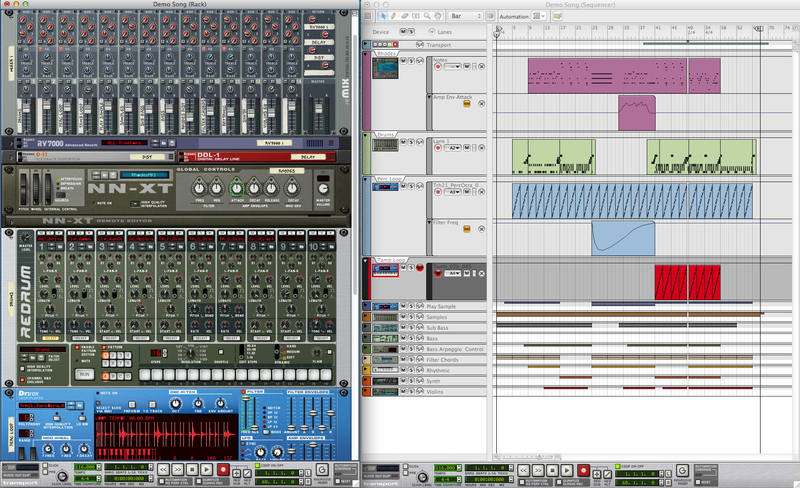 It’s unlike most DAW’s around so you need to be shown the logic in how to sequence in Reason. Reason can be used as a stand alone sequencer or in conjunction with another DAW and I will show you how to use Reason in this way using rewire. This allows you to use Reason within Logic Pro as if it where another plugin. Reason has an abundance of plugins and tools to make your music pulse.The drum Computer plugin has a fantastic variety of different drum kits and each sound in the kit can be edited. The Dr.Rex loop player is a powerful loop player with a difference. There are some fantastic synthesizers built into Reason and the sounds can be edited in real time making them really interesting . I will also teach you to how to arrange your various recorded sequences to create a full song. I will show you how to work with the mixer in Reason. How to eq, create sends and returns for your effx plugins. I will show you the various different effx plugins and how they work. I will also introduce to you the Matrix pattern generator and the Arpeggiator which will add spice to your sounds and give them a different life of there own. These are some of the many wonderful possibilities in Reason which are on offer.I will structure the course in such a way that it’s completely hands on, and you will get to work on the software yourself. In this way you won’t feel overwhelmed and helpless when you are on your own.